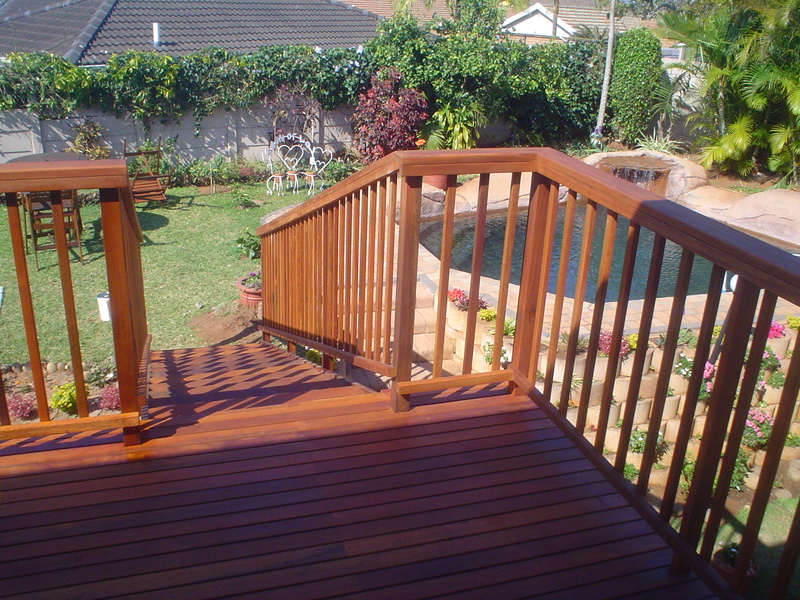 Wooden stairs are often built in conjunction with sun decks for access to the garden or another area of the house. 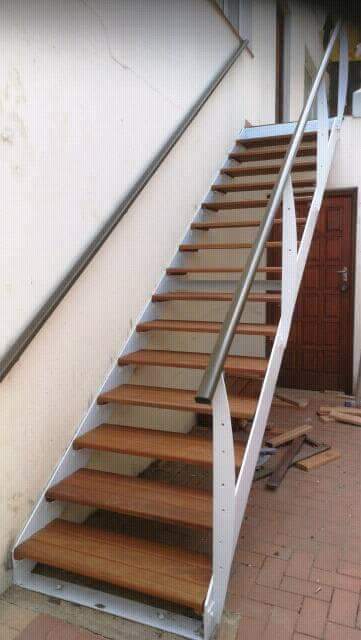 We build our stairs primarily from balau but pine is a less expensive option. 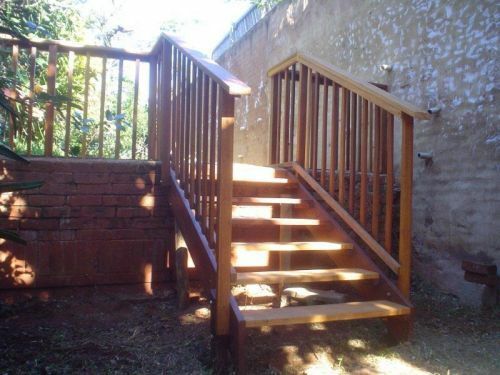 There are two different types of stairs you can build. 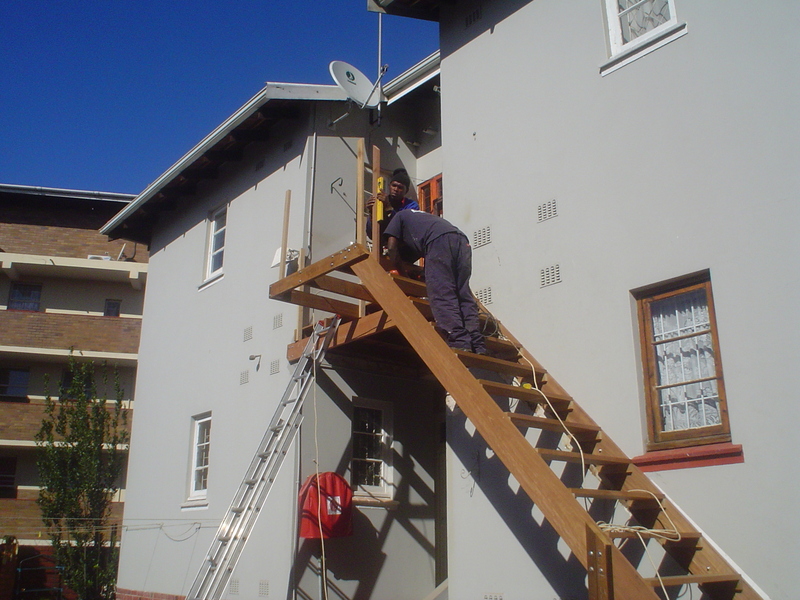 The standard stairway is about 900mm to 1m wide and has open risers (the vertical part) with treads of about 280mm wide. 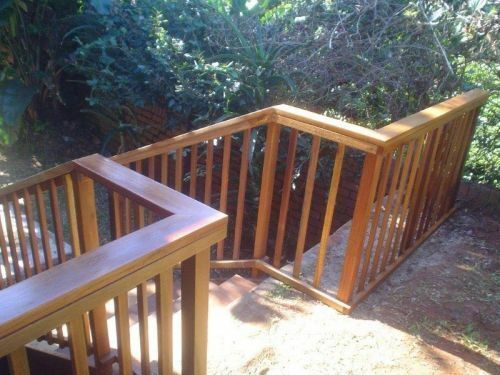 The open riser allows one’s foot to move slightly past the end of the riser. 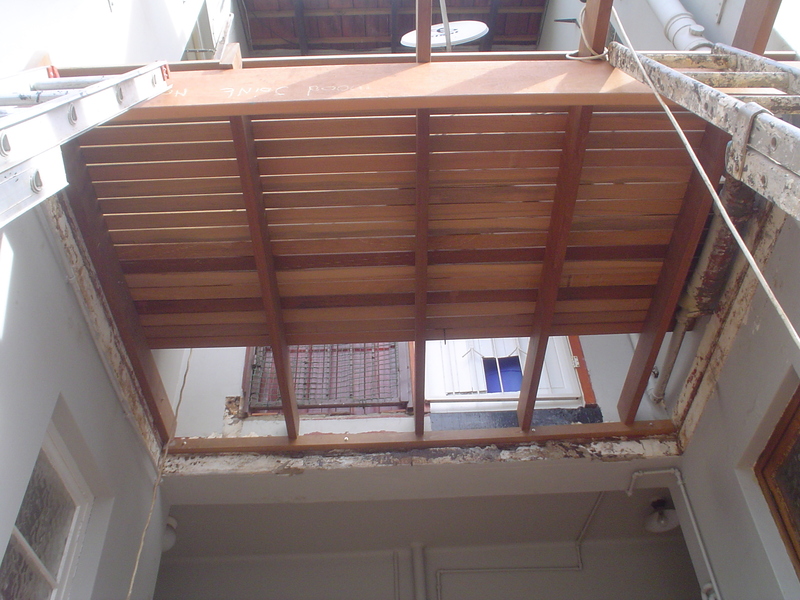 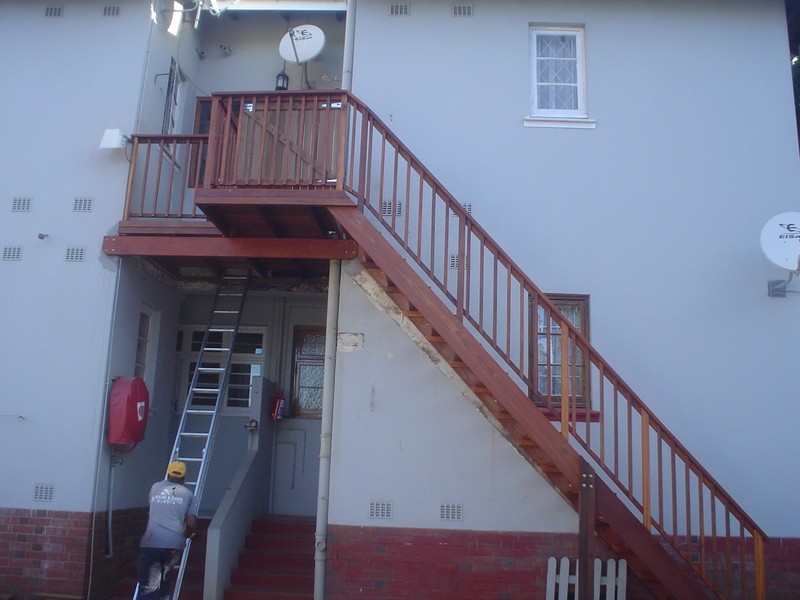 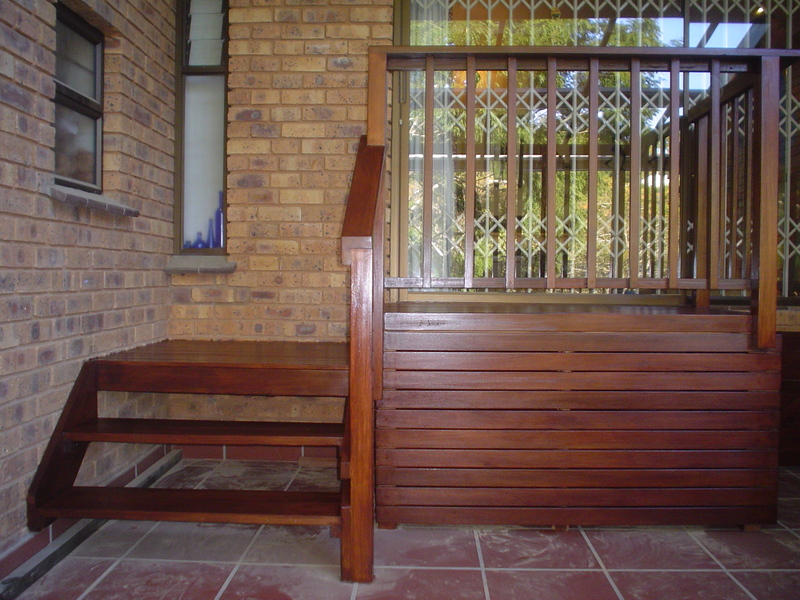 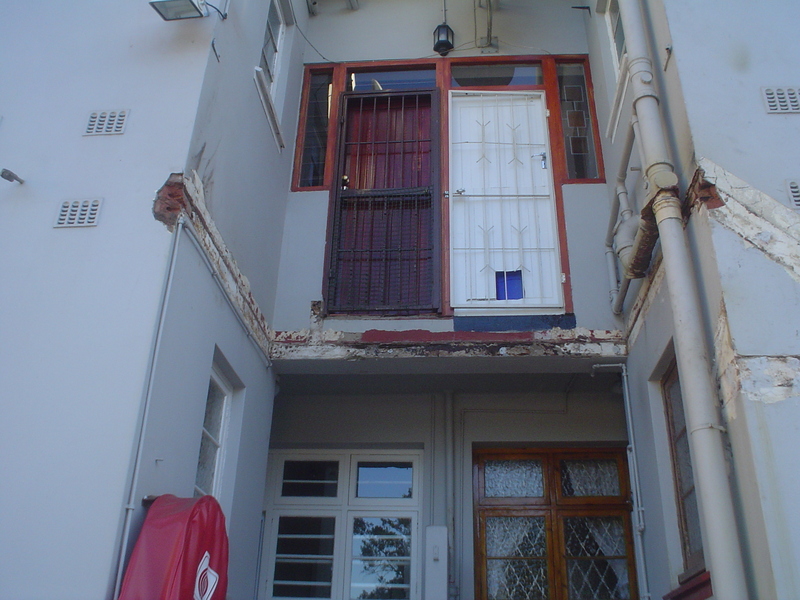 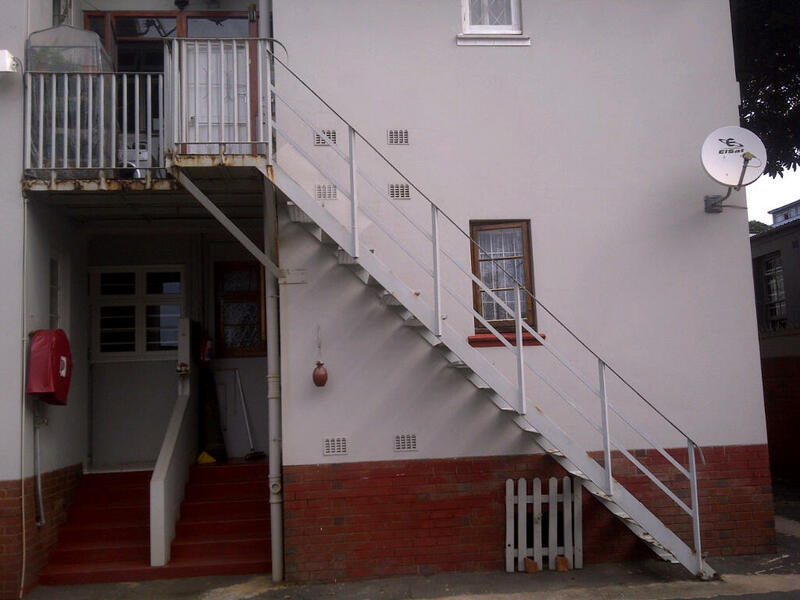 Closed risers are more common on wide steps which are normally built off the front of a deck. 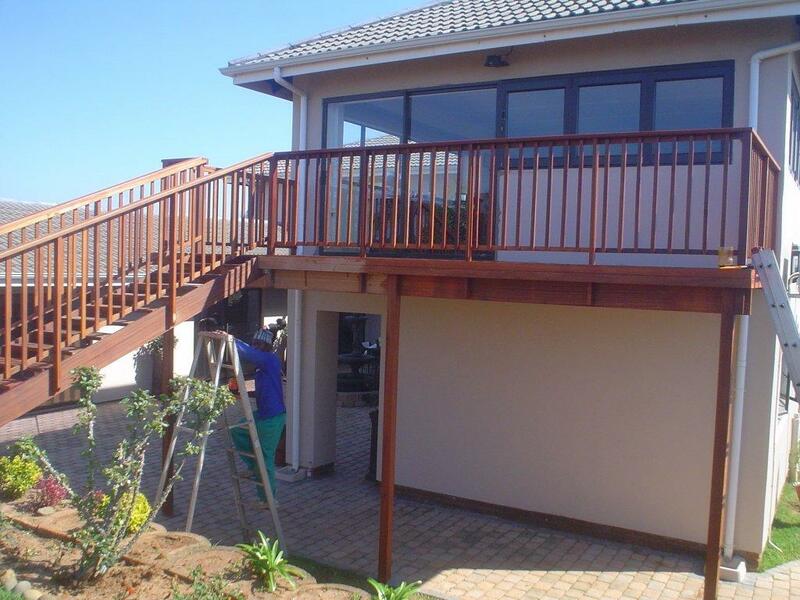 So for instance the full length of a 5m deck can have a closed riser step off of it using a substructure and deck boards. 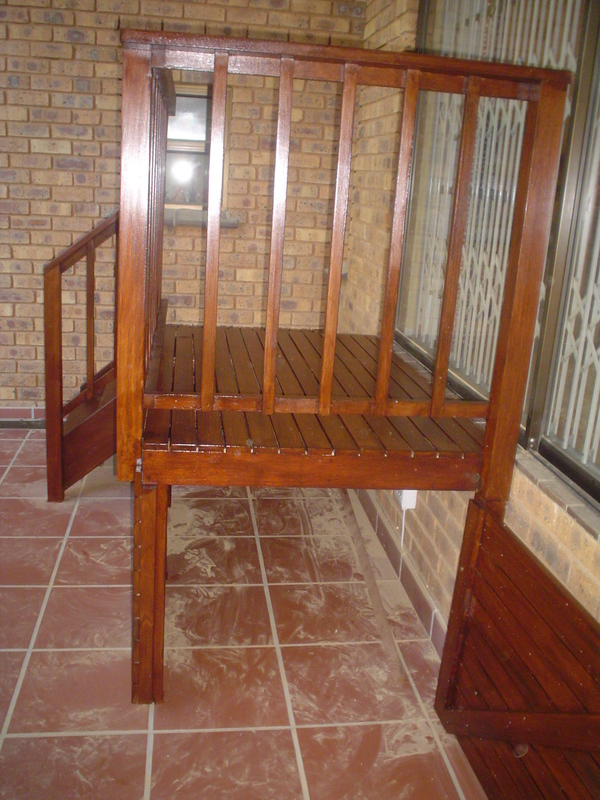 It then doubles up as a step and a seating area. 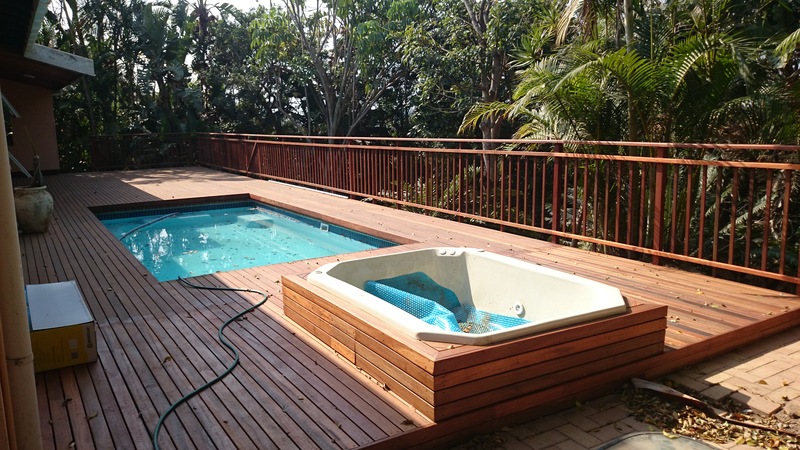 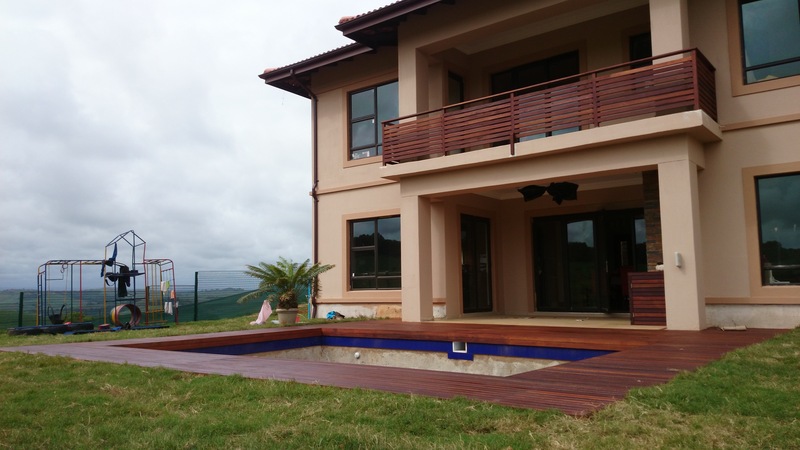 They are quite common around pools or entertainment areas where a step is necessary but where the front of the deck needs to be kept open and a balustrade is not required or wanted. 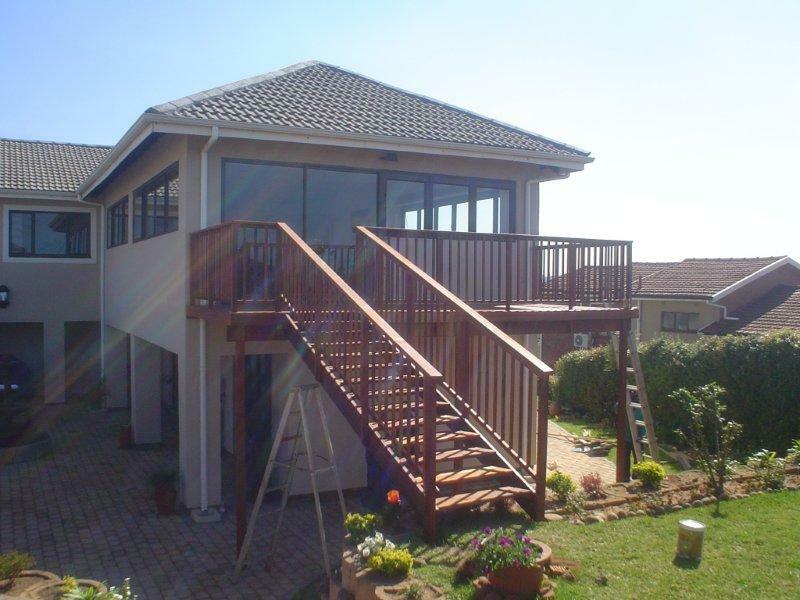 For a free quote please contact us on 031 – 762 1795 or use the form to contact us below.